First Impressions: Seagate Game Drive | To buy or not to buy, that is the question! Let’s be real, your default 500 GB / 1 TB default PS4 drives are mostly full, if not full yet, by now. With tons of must play games on the PS4 such as Uncharted: The Lost Legacy, Horizon Zero Dawn, God of War, and the upcoming Detroit: Become Human, it’s not hard to guess why you’ve run out of space on your PS4 hard drive already. Downloading gigs and gigs of patches is not something you’d want to do over and over again which is why we’d rather keep these games on the system. Enter the Seagate Game Drive for the PS4! Now, while the full on review of this bad boy is still ongoing, we’ll tease you a bit with a quick look on this portable yet powerful external HDD for your PS4. 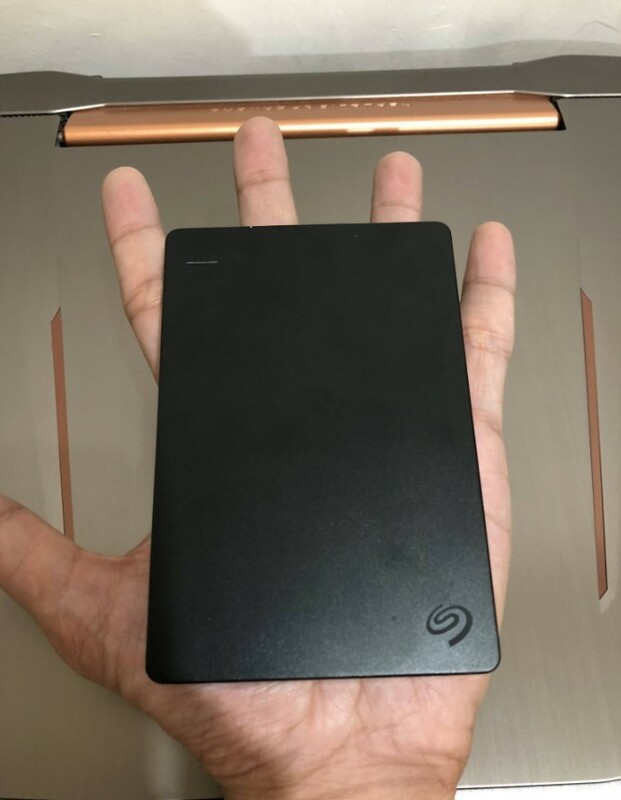 As you can see, the Seagate Game Drive is as small and as thin as you’re gonna get, but not to be forgotten is that it comes in 2TB and 4TB variants (this in particular is the 2TB version), so expect to hold a LOT of your PS4 games into this thing. A quick count of PS4 games averaging around 20-30 GB each would net you around 100+ games on the 2TB version easily, which I’m pretty sure you can already fill up with all the free games every month from your PS Plus subscription! It’s slimmer than most power banks on the market today and top to bottom, is smaller than your PS4 controller. Honestly, it’s easy to lose something this small and thin (and light!) so make sure to keep it safe at all times. 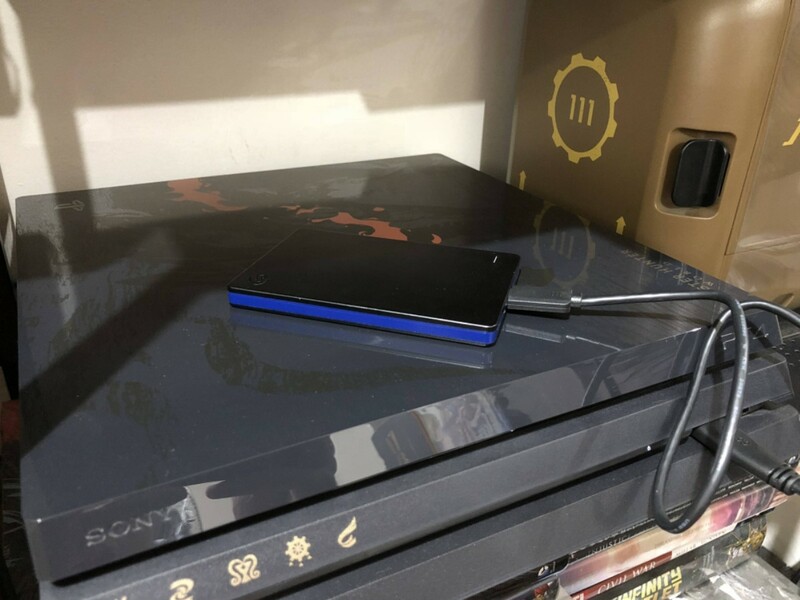 Just like a PS4, the sleek black with blue trim design really sets this thing apart from the other external drives out there as it seamlessly blends in with your PS4, it even looks good on the Monster Hunter World Rathalos PS4 Pro! If anything, my only gripe is that the cable is a bit on the short side, not allowing for full flexibility on placement. Stay tuned for our full review of this PS4 Drive where we’ll show you how to setup the device, how to play games from the storage, and much more as we answer the question “Do you need the Game Drive for your PS4?”. Previous articleWhy the Y6? A look at Huawei’s ridiculously cheap entry-level smartphone. Next articleThe Next DLC Character for Dragon Ball FighterZ is Vegito!